It's not who you are that holds you back, it's who you don't think you are that does. Magnify your confidence, increase your performance, and exceed expectations. Empower yourself and soar to new heights! It is up to you! The top performers in every discipline have coaches. What could you be achieving? Ready for Results? Let’s Get Started! Looking to increase your performance? Call 404.414.8266 or email Info@SuccessWithinReach.com to discuss how SUCCESS WITHIN REACH could help you create extraordinary results! Imagine a relationship where the total focus is you … on what your goals are … and what it would take for you to achieve them. Do you think you would be more engaged? Our clients say that they are and their results prove it. With over 25 years of enterprise software sales experience, we know personally what it takes to produce remarkable results. Our clients tell us that they have clearly transformed the way they approach their campaigns and interact with their teams. 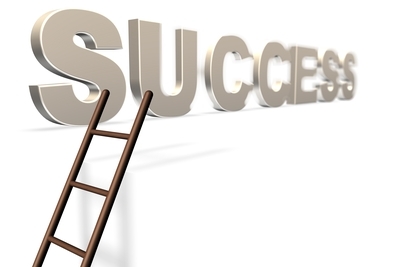 At SUCCESS WITHIN REACH, our one-on-one coaching programs are designed specifically with you in mind. We provide a confidential framework that will help you capitalize on your core strengths, uncover opportunities for growth, and guide you in addressing any limiting beliefs or behaviors that may be hindering your success. While group workshops teach core skills, one-on-one coaching provides personalized reinforcement, encouragement, and an accountability partner to help you integrate your learning into daily life. Individuals catapult themselves to a higher level of performance, life balance, and personal fulfillment. Participants are successful because they take ownership of their own plan for success. Discovery & Self Analysis – Where do I need help? One of the key ingredients to powerful coaching is that it addresses the whole person not just one piece. Professional excellence leads personal success … and the reverse is true. “David Pezzino has taught me more than just how to achieve my goals and objectives, he has taught me to stay positive and pumped up. His energy has not only helped me in my sales career, but with my family life and military career, as I now have 214 soldiers under my command.